In online retail economics we use terms you may not know. Then you will benefit from this glossary. It will provide clear definitions and also understanding why these terms are important for your online retailing business. “Big Data” refers to massive sets of data about consumer behavior, that take intelligent data analysts and sophisticated programs to make sense of it all. Big Data is not just traffic or conversions, but also the pairing of behavior (clicks, open rates, time spent on site), demographic (age, gender, income, family composition, address), social information (tweets, shares, etc. ), timing, and much more. Big Data allows businesses to personalize each customer’s experience / preferences and even lets them predict consumer behavior, by turning different data about the same topic into an actionable insight. “Bricks and Clicks” refers to retailers that integrate their traditional store with their ecommerce website. Most Bricks and Clicks companies offer web-to-store services such as in-store pick ups and returns: the website acts a traffic builder for the store. A Bricks and Clicks business also has the advantage of aligning store branding and online branding: the store brand acts as confidence builder (and traffic builder) for the website. And product information on the website is a welcome addition to instore and packaging information. The synergies between physical stores and the online retail site, allow Bricks and Clicks retailers to (at best) break-even on their expensive delivery activities, and still make a profit overall. “Click and Collect” is a service that enables shoppers to purchase items online and pick them up in the physical stores. Consumers can make a purchase from their home, and pick up the order whenever it’s convenient for them, instead of paying for shipping and waiting for the order to arrive. 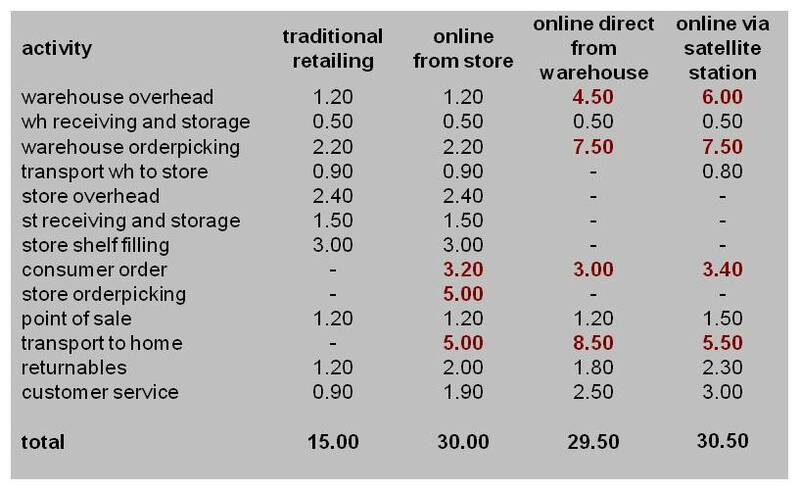 But the most important driver for “Click and Collect” is efficiency for the online retailer, because direct home delivery is the most expensive process in the online chain: the “longest mile”. A “Content management System” or “CMS” is a software solution that makes it possible to create, edit, maintain, publish, and display content on the Internet from a single interface or administration tool. In the online retailing context, a CMS may be used to manage a stores product catalog. “Conversion” is a marketing term that describes when a user or visitor completes some action or achieves some marketing goal. 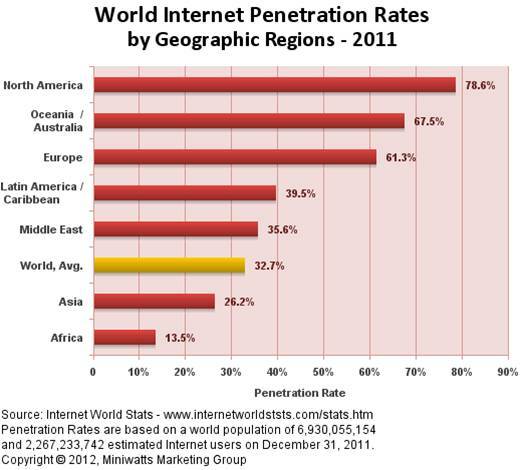 More specifically, conversion is often used to describe when a site visitor converts to a customer, making a purchase. In online retailing “conversion” is more important than in physical stores, because the easy access to websites makes it also easy for visitors to leave and visit another store. “Drop shipping” is the arrangement between a retailer and a manufacturer/distributor, in which the retailer transfers customer orders to the manufacturer, who then ships the merchandise directly to the consumer. The retailer does not keep products in stock. Drop shipping is popular for small online retailers selling expensive or big ticket items. But drop shipping is less popular for online food retailing, because of low item prices and low margins, high fixed delivery costs and the necessity to combine products from many different suppliers. In ecommerce, “fulfillment” is the process of completing an order. The term may also apply to third-party companies that inventory products and ship orders on behalf of an online store. Fulfillment of online food retailers is a set of expensive activities, that in physical supermarkets is done FOR FREE by consumers. Orderpicking of single SKU’s and home delivery may cost more that 15% of the retail price, but consumers are often not willing to pay more for home delivery than 5% of the basket price. And when added costs are three times added value, the business model is unprofitable. An “Internet Retail Site” is a website where visitors (consumers) can purchase products. They do NOT include shopping domains that provide free downloads, product reviews or purchasing incentives such as coupons. They also do NOT include e-commerce sites such as auction, travel reservation or financial sites. “Mobile shopping” is the practice of purchasing goods or services using a mobile device. Mobile shopping is an increasingly common trend due to the popularity of smartphones and tablets. It is shopping online using a computer, only with a smaller screen and often with a special app. Mobile shopping apps are also used to enhance the in-store shopper experience, by providing product information and consumer specific suggestions. Mobile food shopping is also increasing, but retailers have to find ways to prevent small orders and high delivery costs. “Niche retailing” is the practice of specializing in a particular type of product and selling to a specific market segment. Niche retailers have to identify market segments and deploy unique and targeted strategies to address their market’s needs. “Omni-channel retailing” means selling to consumers on several channels and platforms: physical stores, mobile, online, catalog etc. An example of omni-channel retailing is: giving the customer the flexibility to purchase an item with your shopping app, and then letting them pick up the merchandise in your store, plus allowing them to process a return via your website. Omni-channel retailing is more than being on multiple channels or platforms. Just because you have a website, a mobile app, and a physical store doesn’t necessarily mean that you are an omni-channel retailer. You must combine all channels in marketing, logistics and information technology, to give customers an ideal experience. A “Planogram” is a visual representation showing how merchandise should be arranged on store shelves. This “space-management” tool is a model that indicates the best placement and positioning of merchandise, in order to drive sales (by minimizing out-of-stocks) and optimize gross margin (by placing high-margin products on eye-level). A well known space-management software for supermarkets is Spaceman. Online retail does not use planograms for websites, because the space-management algorithms calculate the minimal product stock necessary to prevent out-of-stocks. But on websites product presentation and storage of goods are separated. “Shrinkage” is the difference between theoretical stock (in the inventory system) and physical stock (in store or warehouse). Shrinkage is the reduction in inventory, not caused by legitimate sales. Common causes of shrinkage include: employee theft, shoplifting, administrative errors, and supplier fraud. Online retail entrepreneurs do not suffer from the (largest) problem of shoplifting by customers. The other causes of shrinkage will also be lower due to inventory control systems, professional order-picking and delivery processes, and checks and alarms by consumers receiving the goods. “Stock Keeping Unit” or “SKU” is the unique identification of a particular product. SKU data represent all attributes of an item, including price, style, brand, size, color, and more. SKU numbers are used by shoppers and the online system for calculations (example: calories or total price). “Webrooming” is the practice of looking at products online before buying them in physical stores. It’s the opposite of “Showrooming”, where customers look at products in physical stores only to buy them online. Webrooming and showrooming are typical for non-food retailers. Food retailers sell familiar items that normally need little research by consumers. Exceptions are: wines, vitamins and other product categories that thrive on product information. But webrooming is used by food buyers to compare product prices in order to choose the favorite retailer store.